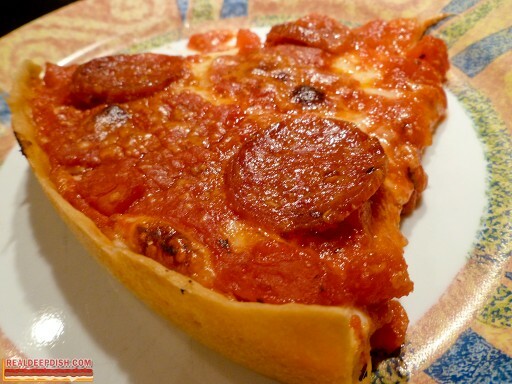 I thought I’d share with you my methods for saving leftovers and reheating deep dish pizza. This isn’t rocket science – Wrap leftover deep dish pizza in heavy duty aluminum foil and store it in your refrigerator for up to a week. You can also freeze it, but then you’ll want to thaw it in your refrigerator before trying to reheat it. I use my trusty black & decker toaster oven*, but you can certainly use a regular oven for this. 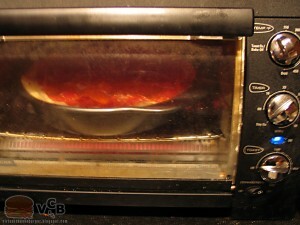 Preheat your oven to 425-450 degrees F.
Cover your toaster oven baking pan (or a sheet pan) with aluminum foil. Add a light coating of cooking spray onto the foiled pan. 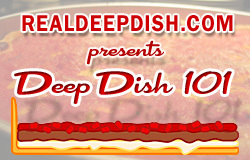 Place your leftover deep dish slices onto the prepared baking pan, keep the slices apart for more even heating. This part is optional, but I recommend it – spray a little water on top of your pizza slices, as the pizzas have already lost moisture from the first baking. 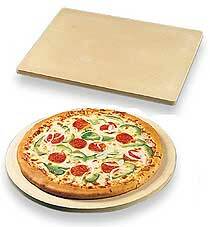 Cover the pizza with a loose sheet of aluminum foil (you can make a tent if you like). 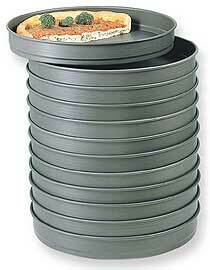 You do this to keep the pizza from burning while it is reheating. Bake for about 20-30 minutes or until the pizza is hot. *One day after I wrote this, my toaster oven died. You (and the Deep Dish I made in you) will be dearly missed. (because you were a discontinued model). Yes, reheating works best in a toaster oven, mainly because it’s a smaller area to heat and toaster ovens heat up very fast compared to a conventional oven. If you are using a conventional oven, you may want to adjust your oven temp so it does not reheat your pizza too quickly, leaving warm outside and a cold inside. Also, sometimes people fail to preheat their ovens before putting their food into them. For a toaster oven, this is not as much of a problem because of it’s compact, fast-heating nature. Like everything on this website, I recommend practice. Everyone’s oven is a little different. Your oven is just one more piece of kitchen equipment you need to become familiar with. If you don’t understand how your oven bakes, it can often cause your food to not reheat (or cook) as you intended.